Unsightly Gum! Non-Commissioned Art Work! We can't control the individuals who do not respect other's property, but we can clean the gum and graffiti they leave behind. 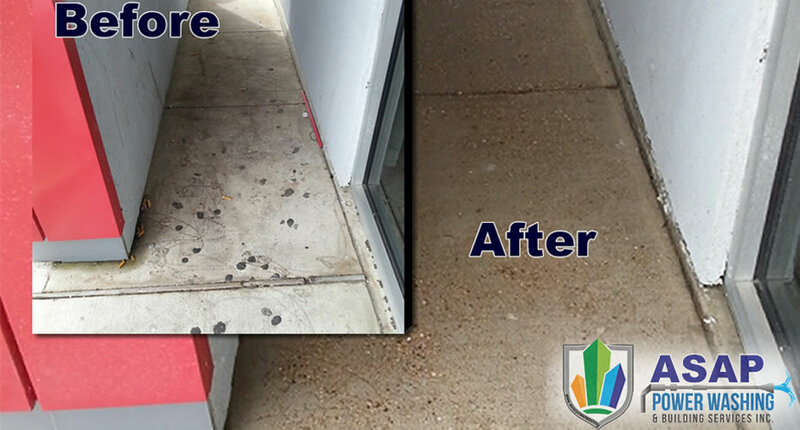 ASAP Power Washing can offer solutions to these unwelcome additions to your property. One way we do that is with a combination of high pressure and hot water/steam up to 250 degrees Fahrenheit. Contact ASAP Power Washing to make an appointment to discuss details.